Cambridge Memorial Hospital (CMH) is looking for a Gastroenterologist/Hepatologist. CMH is undergoing an exciting Capital Redevelopment Project with anticipated significant expansion of services over the next few years, particularly in our Subspecialty Programs. The current Internal Medicine Department are a dynamic group of 14 Internal Medicine Specialists seeking to expand our sub-specialist complement. The Medicine Service currently includes 2 Cardiologists, 2 Gastroenterologists, 3 Respirologists, 5 General Internists, and 2 full time Intensivists. We are in the process of recruiting a number of other sub specialists as well to add to the above complement. The Cambridge Memorial Hospital facilities include 1 endoscopy suite operating 5 days a week, and adding a second endoscopy suite to add additional endoscopic volumes. Upon completion of the final phase of the Capital Redevelopment Project, CMH will have 3 endoscopy suites. With service expansion, CMH is in the process of redesigning our inpatient ICU/CCU/Stepdown/Telemetry services, as well as inpatient Medicine program. This will include changing our general internal medicine program to include subspecialty call coverage, including gastroenterology. Furthermore, as part of service expansion, CMH is in the process of developing an enhanced hepatology program, to provide service for advanced liver disease for the community of Cambridge as well as to the Region of Waterloo-Wellington. CMH currently has 2 gastroenterologists, one of whom has clinical interest in inflammatory bowel disease and the other has clinical interest in liver disease. However, both gastroenterologists have broad general community practices. CMH is looking for a gastroenterologist with hepatology expertise, preferably fellowship training in an accredited training program. General comfort with other areas of general gastroenterology is also expected. The successful candidate will have access to endoscopic resources at CMH comparable to current gastroenterology resources. Furthermore, a community based endoscopy clinic is located in close proximity to CMH that may allow the successful candidate to potentially access additional endoscopic resources. Applicants must be licensed with the College of Physicians and Surgeons of Ontario and have an independent practice license or eligible for same. Certification or eligibility for certification in Internal Medicine and Gastroenterology through the Royal College of Physicians and Surgeons is also required. On call requirements may include coverage of all new ICU/CCU/Stepdown/Telemetry until subspecialty call program fully established in late 2018. Subsequently, call responsibility will be in gastroenterology only. Cambridge Memorial Hospital is a large acute care, community hospital serving Cambridge, North Dumfries and the Region of Waterloo with 280 physicians, 1100 full- and part-time professional health care staff and more than 400 active volunteers. Our vision is to provide exceptional healthcare by exceptional people, with an emphasis on giving patients and their families an exceptional experience when they visit our hospital. With help from our Foundation partners and our supportive community, we purchase over $4 million of medical equipment each and every year to help ensure you will work with the best tools possible when caring for your patients. In collaboration with universities and colleges, we are also a teaching and placement site for medical, nursing and allied health programs. 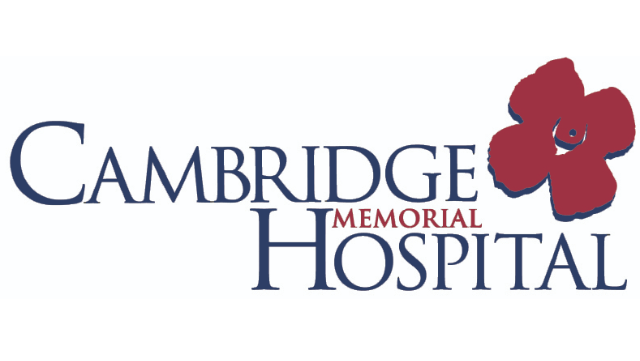 To learn more about Cambridge Memorial Hospital (CMH), please visit our website at www.cmh.org. We are affiliated with Waterloo Campus of the Michael G. DeGroote School of Medicine, McMaster University and support academic interests. Specialist programs include: Cardiology, Respirology, Gastroenterology, Rheumatology, Hospitalist Medicine, General Surgery, Urology, OBS/GYN, Pediatrics, ENT, Oncology, Orthopedic surgery, Plastic surgery, Radiology and Psychiatry. Regional Dialysis, Radiation Oncology, Interventional Cardiology as well as Cardiac, Thoracic, Bariatric and Vascular Surgery are available within the Waterloo Wellington Local Health Integrated Network. Cambridge is a friendly family oriented community of 125,000 located 1 hour from Toronto, London, and Hamilton, on the 401 highway. Our business-friendly environment and appealing lifestyle have made us one of the fastest-growing cities in Canada. Cambridge enjoys an excellent standard of living with access to parks, rivers, recreational facilities, universities, colleges and high-tech jobs all within the region. Applications should be submitted no later than August 31, 2018 and may be addressed to Dr. Augustin Nguyen, Chief of Department of Medicine, Physician Director of Medical Programs. If you are interested in learning more about this opportunity, please contact the Medical Administration office at Cambridge Memorial Hospital.